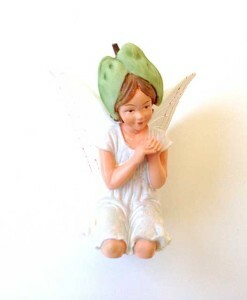 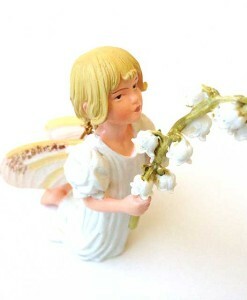 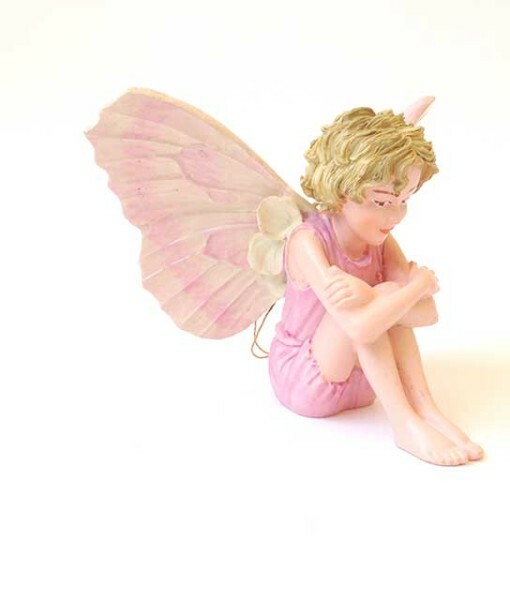 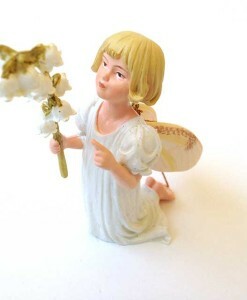 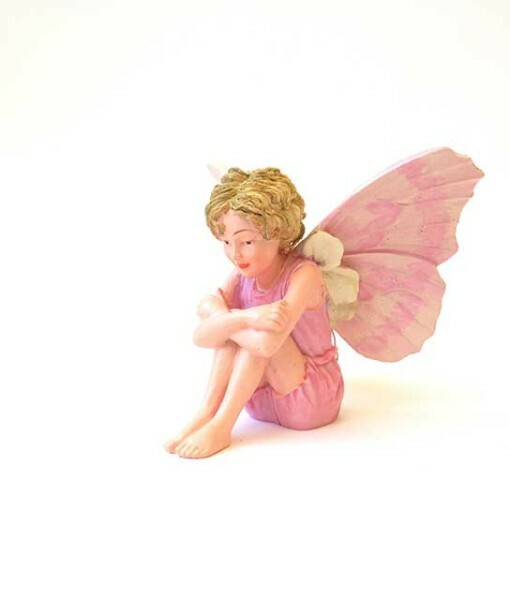 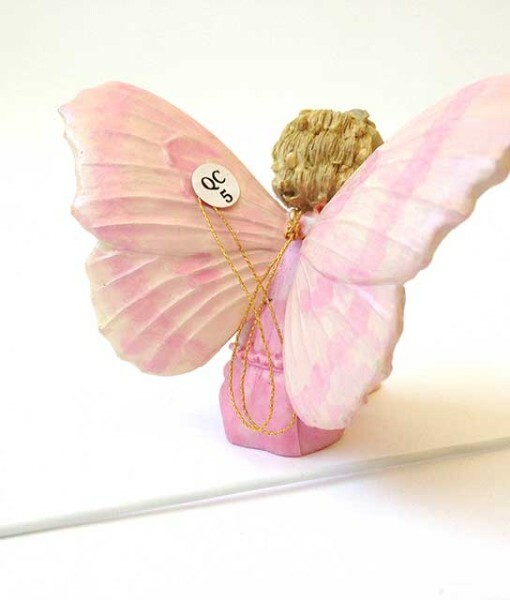 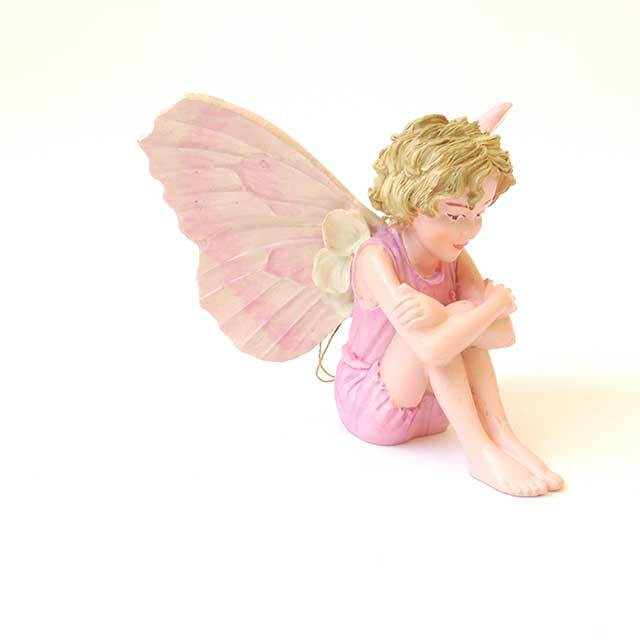 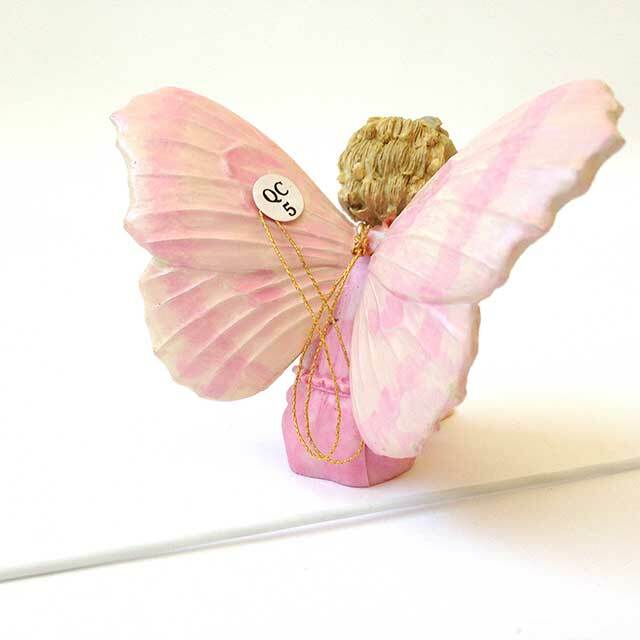 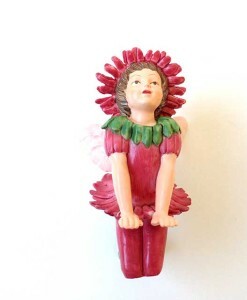 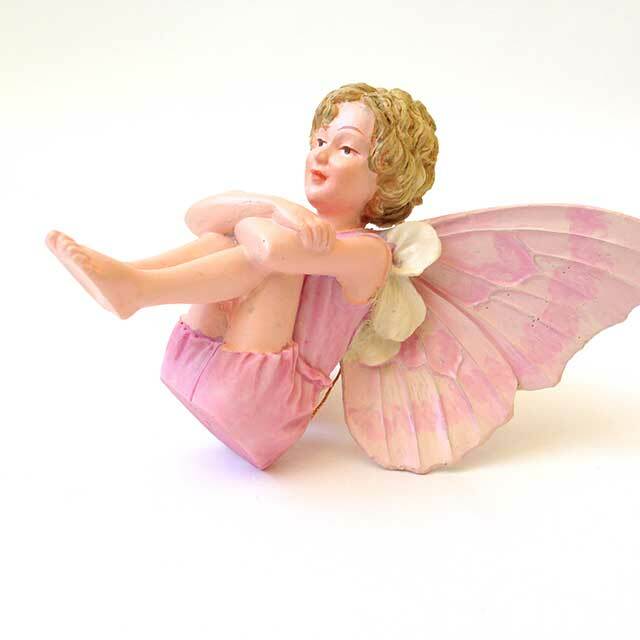 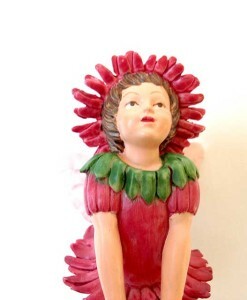 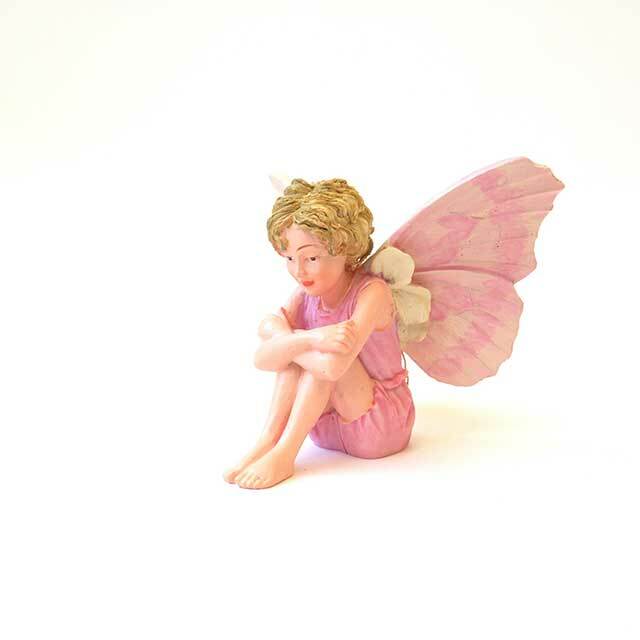 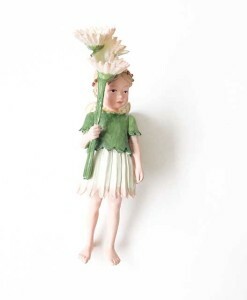 If you love pink, our Candytuft Fairy figurine sets the mood with pink blossom clothing and wings. 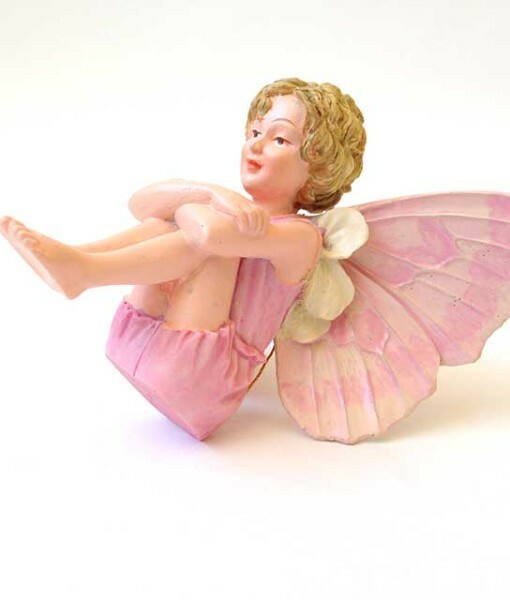 Poised in a setting position, use her in a bed of moss, or alongside a miniature pond. 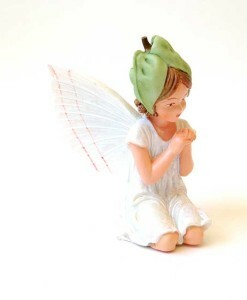 Dimensions: 2 1/8″ tall, 2 15/16″ wide, 3 1/16″ deep.